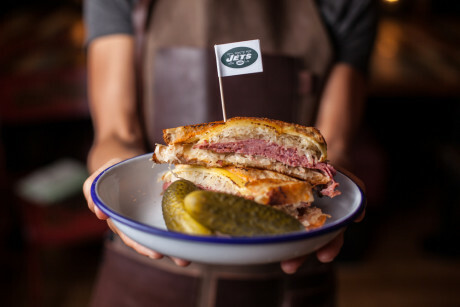 NFL Comes to Town: Make the Classic Reuben Sandwich with Meat & Shake! 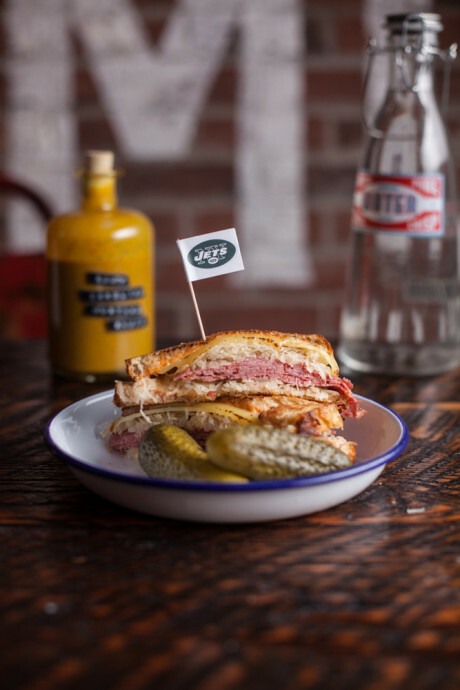 With the NFL having steamed into town at the beginning of the month for another brief stretch of American football action, UK smokehouse Meat & Shake have devised the ultimate NFL watcher’s recipe list of decadently meaty masterpieces. Teaming up with BBC NFL and Americarnage presenter Nat Coombs, Meat & Shake are hoping to open up the NFL to a whole new audience, with both the menu and a glossary of terms arriving to help out Brits unfamiliar to the American sports staple. Springing up all over the country, Meat & Shake are making waves with some tantalising offerings, with VIVA London lucky enough to test drive their new Ealing branch last month. And now, we’ve got our hands on their Classic Reuben Sandwich recipe, so take stock and get cracking! 120g-180g per person of thinly sliced pastrami. Lots of Sauerkraut, or polish pickled cabbage. Another viable alternative which will have purists sending me hate-mail within seconds, is kimchee. Honest. Or if you have no alternative, make a very well-seasoned, wet, vinegary coleslaw with sour cream instead of mayo to sit overnight in the fridge and in all cases drain it thoroughly in a sieve before use. Polish white rye bread. I like mine with caraway which is easy to find, but it’s a flavour that divides people so perhaps it’s safer to go for a plain loaf (or several, depending on your guests) It usually comes pre-sliced which is fine. Flat-top grill, or a large heavy frying pan, or a sandwich toaster. A grill will do if you have no other option. Bread, dressing, sauerkraut, pastrami, sauerkraut, dressing, bread. You can do this a few minutes in advance in a commercial break if you want, as the cheese will protect the bread from the sauerkraut’s sogging influence as long as it’s only for 15 mins or so. To serve, you need to toast the sarnie. Butter the outside and toast using whatever method you have available on a medium heat. If you have the option of pressing it while this happens, then go for it. The outside should be golden brown and the cheese melting, but the meat and kraut may still be cool. This only adds to the experience. I can’t call the game, but this is definitely a winner. 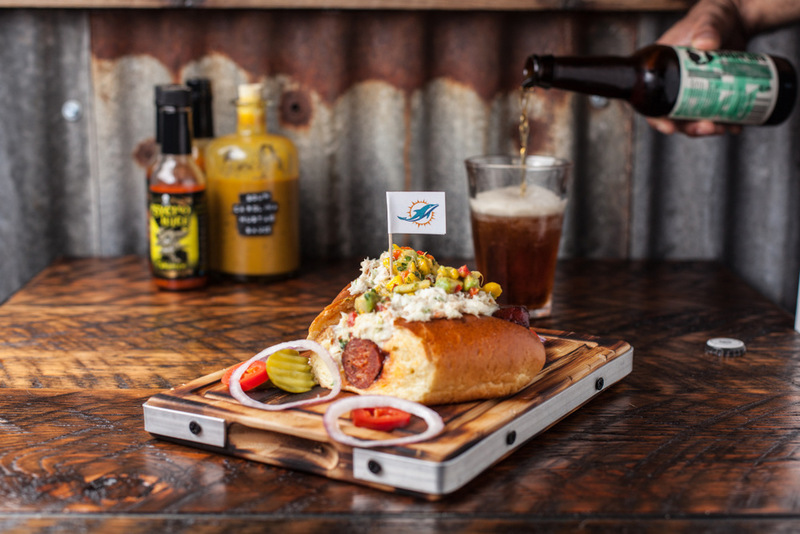 As well as the Classic Reuben Sandwich, The recipe list also includes the Miami Hotdog with Devilled Crab Mayo, Buffalo T-Rex wings, Florida Key Lime Pie, Kansas City Beef Ribs, and the Coney ‘Megatron’ Burger! 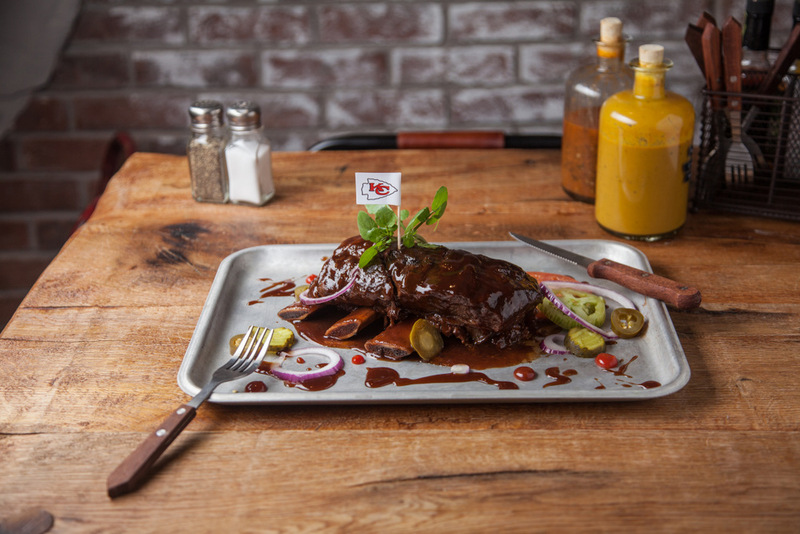 Head down to your nearest Meat & Shake to grab the rest of the recipes, and enjoy the rest of the NFL UK matches!